We recommend that you purchase a sample card prior to placing an order on Tutu Neto & Notions. The sample card will provide you with samples of all of our fabric colours. 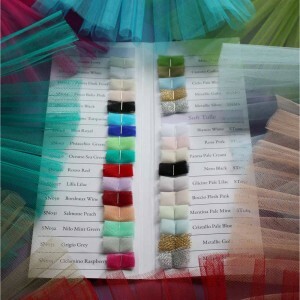 Including Soft Tulle, Metallic Soft Tulle, Stiff Net and Metallic Stiff Net.